Only three parts were carried over from the previous model. 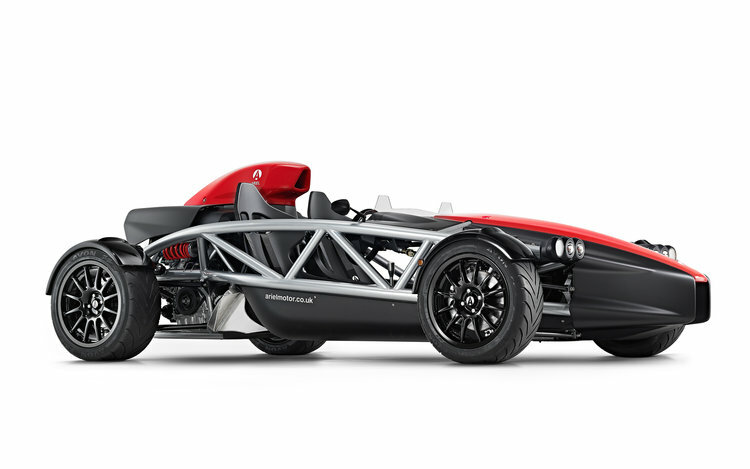 The Ariel Atom roadster just received its biggest makeover since it was introduced back in 1999. Now entering its fourth generation, the Atom only shares three parts with the outgoing model: the clutch pedal, brake pedal, and fuel cap. The basic open-air roadster design of the new Atom is mostly the same as it always was, but now it has a new chassis, new bodywork, new suspension, and improved aerodynamics. The big story is with the engine that sits behind the driver, which is a Honda K20C turbocharged inline-four shared with the Honda Civic Type R. In the Atom, this little devil will make 320 horsepower and 310 pound-feet of torque promising to motivate the Atom from zero to 60 mph in just 2.8 seconds. Production of the new Atom will remain limited with only 100 being built per year. They’ll continue to be built to order by one technician. North and South American market Ariel Atoms will be built under license at Ariel North America based in South Boston, Virginia. That's great for exclusivity, but it could also mean that demand will outweigh supply. Thanks to an all-new tubular chassis, the Atom 4 will have 15 percent more torsional stiffness than the Atom 3.5 it’s replacing. The new chassis also makes the interior—if you can call it an interior—a little roomier with more generous width and legroom. 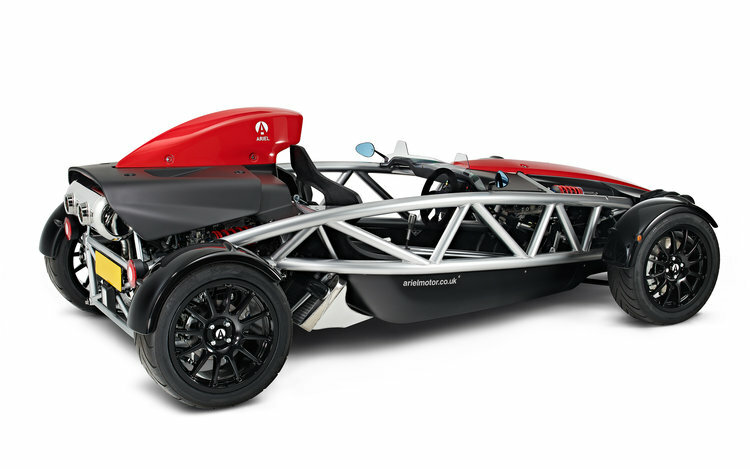 The Honda Type R engine makes this the fastest Ariel Atom ever from the factory. It has 10 horsepower more than the previous supercharged Atom 3.5, a 75 percent torque increase over the standard Atom 3.5, and a 35 percent increase over the supercharged model. There’s new suspension geometry in the Atom 4 to ensure low body roll and firm handling. Bilstein dampers at the inboard position will be standard and a semi-active Ohlins suspension package will be optional. Alloy wheels are standard, but on the Atom 4, full carbon wheels will be an option. They're about half the weight of the standard alloys. Avon ZZR will be the standard tire on the new Atom. The Atom 4 promises neutral handling and more precise control at high speeds thanks to revised bodywork and aerodynamics. Drag is down, downforce is up, and Ariel has greatly increased the mass flow rate to the radiator, intercooler, and air intakes. Like the wheels, several body panels will be available in carbon fiber to add lightness. Ergonomics are improved in the Atom 4 with individually adjustable seats rather than the two-seat unit in the previous model and slightly repositioned pedals. You also get extra storage space under the removable front body cover adding a little extra practicality to the Atom. Information comes from a pretty new customizable TFT display. Everything about the Ariel Atom 4 seems to be a fairly significant improvement over the previous Atom. It promises to provide better performance, greater comfort, and more customizability than ever so you can order the perfect Atom for you. However, for all of its improvements, the Ariel Atom is still a pretty expensive and impractical vehicle. There's no official pricing since they're all made to order, but the cheapest outgoing Atom you could get was around $50,000. That's not cheap for a car with no doors and minimal storage, but it sure is fun. Zero emissions meets 0-60 in 2.4 seconds.